On Mondays, productivity is terrible. It’s a total, utterly tiresome cliché. Truly. This is, in complete honesty, just another article telling you how your Monday can be more productive. Because every week you’re alive (a lot of weeks, hopefully), there’s a Monday. Let’s not soup up some schedule of the gods here. The articles that try to convince you to get up at 3am, do HIIT while reading Emily Dickinson to your avocados, and then work for 30 hours straight before urinating, are good. Good for a spit-take. Nah, this article is actually useful. At least it claims to be. It’s got some actual, tangible tools to make your beginning of the week a smidgen less lethargic. If digital things can be considered tangible. It’s Monday now, would you look at that! (If it isn’t, there was a 1/7 chance) You can’t get into a flow, a workflow, and that’s fine. Somehow kicking into gear requires more mental power than your tasks themselves. The secret to getting into your flow (or at least one secret, if we’re sticking to the theme of realism here), is never leaving it. Hustle! Just do it! Burnout! Sleep when you’re dead. Those are the things you should definitely not do. Slow down. Breathe. Just do some of it. Burn calories on a casual stroll. Sleep when you’re sleepy. Part of staying in a flow means fluctuating between work and leisure. Taking consistent breaks to refuel so you’re never guzzling on an empty tank. 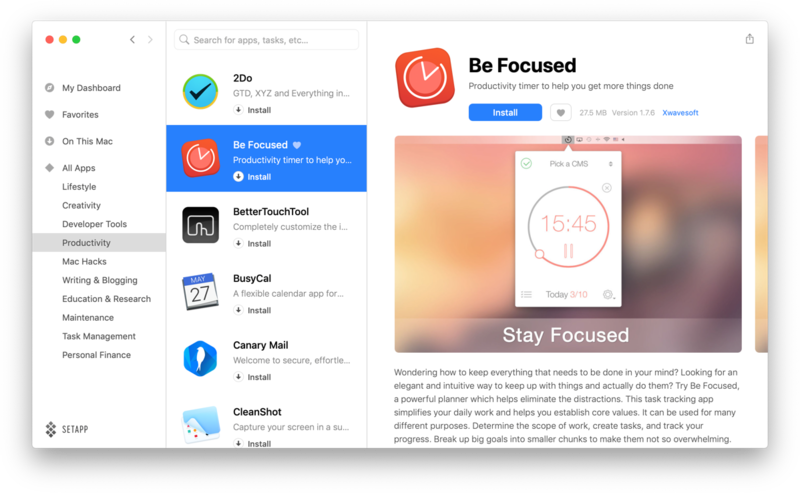 There’s an app called Be Focused that teaches you to work mindfully. 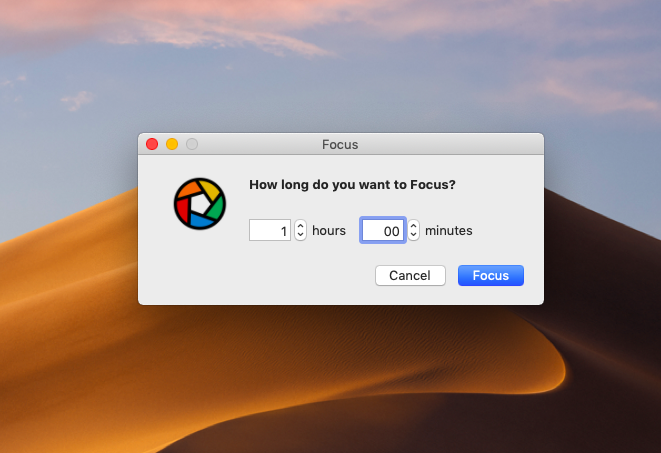 It’s a simple timer that reminds you to take breaks so it never feels like you’re working. Really. You’ll be surprised by how much you get done when you purposefully let yourself be distracted rather than falling into mental meander. And at the end of the day, see how many time chunks you’ve successfully plowed through. Kiss the back of your hand. Now dip it in some sand. It sticks. It’d be great if other things stuck. We copy bits of info all the time to our digital clipboard, but since we can’t see this magical palette, bits get lost. Like grains of sand. A Mac app called Paste solves this. It makes the magical palette visible. That’s about it. A good tool does the job, and no more. It lets us do the job and move on. So that’s what Paste does, and that’s what makes it so great. Of course there are plenty of useful featurettes. But nothing to distract you further on your Monday. Or Tuesday, Wednesday, Thursday, Friday. Oh, and it’s really pretty. Task managers don’t need an introduction. If you’re reading this to make something more of your day, you’re already using one. Maybe it’s not matching your style and you’re down to try something new. 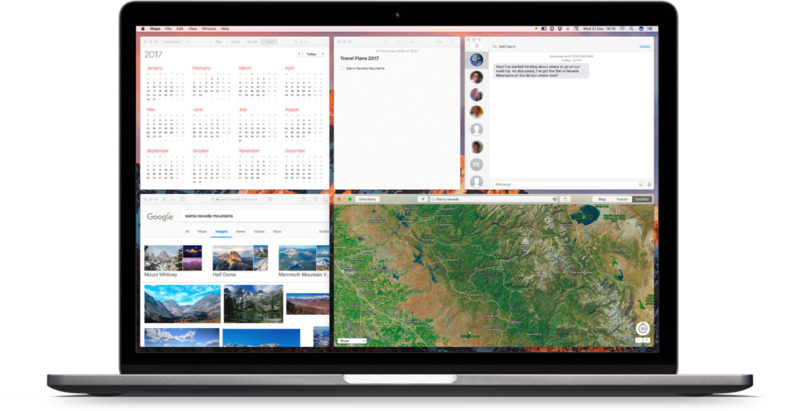 GoodTask’s flex is its native Apple Reminders integration. If you like to fiddle with Siri or otherwise enjoy a tightly-integrated environment, this is the winner. iCloud and all. Of course, if you’ve tried Reminders, you already know how lacking it is. 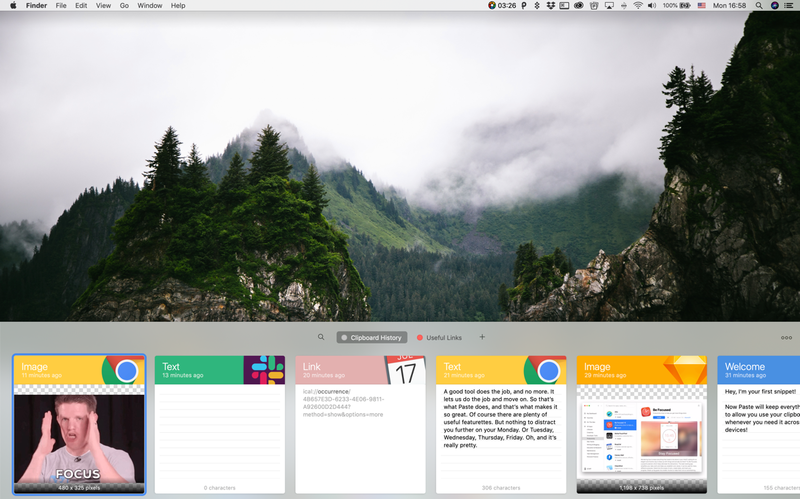 GoodTask adds everything you could have ever dreamed of. Yeah, admit you’ve dreamed of to-do lists. Don’t keep your eye on the ball. There’s no ball here, just a screen burning your beastly retinas. No, keep your eye on it. Whatever you’re doing. The tool? Focus. We already talked about Be Focused. This one is just… Focus. It lets you block whatever you want on Mac. Apps, specific websites, whatever. And track your time spent in areas you spend it. With detailed, detailed data breakdowns. The only way to improve is to evaluate past performance so you don’t make the same mistakes. This makes that fun. It feels horrible to be lazy. Horribly good. On Mondays especially, anything that takes extra effort seems to drag along. Assuming you type things at work, even if only the occasional email (If only! ), it can feel like you’re typing the same thing over and over again. And maybe you actually are. In comes the tool. Rocket Typist. Cram all your most-used words, sentences, and entire templates in a text database. It takes seconds, and saves… more seconds. When typing, use the Rocket Typist dropdown or just type an abbreviation and your custom text will appear. It’s your own, personal autocorrect. On Mondays you won’t even have to type the word Monday. Shun it. Make it while you work. Make it with your work. While you’re embracing laziness, you may have app windows splattered around your screen, taking up precious, inch-long real estate and obscuring access to certain info. Turn your windows into pretty tiles using Mosaic. Drag and drop them into custom grids. Work unobscured. Another simple tool, but one that does its job exceedingly well. The word itself is cringy. It’s overused. But it makes you want to read about it because deep inside, you want to embrace it. Embrace productivity. Smooch Mondays. Don’t read to your avocados — eat them. Or eat something else, because avocados are also a cliché.